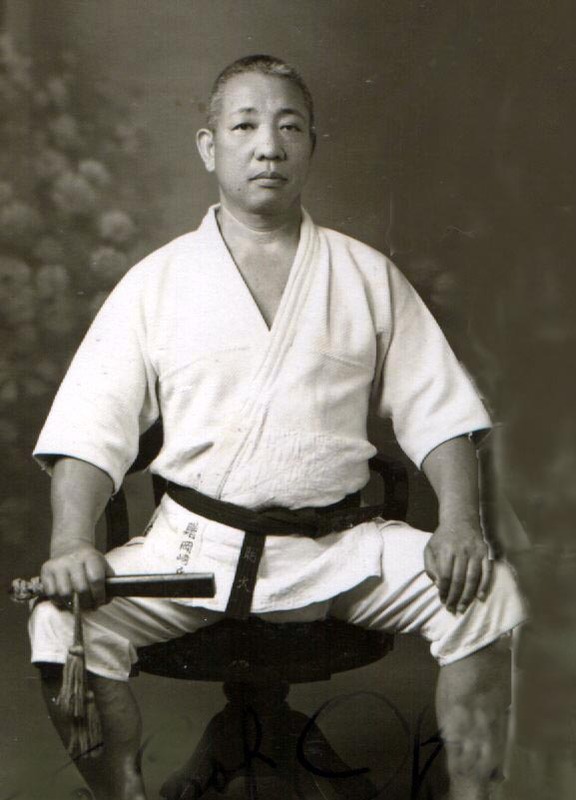 Danzan Ryu was founded by "Henry" Seishiro Okazaki. He was born in Japan on January 28, 1890, and moved to Hawaii as a teenager. At 16, Okazaki learned he had tuberculosis. He dedicated himself to martial arts and recovered completely, which led him to dedicate his life to propagating jujutsu and judo. He created the Danzan Ryu style in 1927-28 by synthesizing several older styles of jujutsu, along with elements of Okinawan karate, Chinese wu-shu, Hawaiian lua, Filipino escrima, and western boxing and wrestling. Danzan Ryu takes its name from the sweet-smelling Sandlewood trees found on Hawaiian mountains. The name translates as Cedar Mountain or Sandlewood Mountain style. Okazaki's dojo, Kodenkan, means "the school of the ancient tradition." Okazaki also taught traditional Japanese restorative massage, or seifukujutsu, at the sanitarium where he made his living. Since the fundamental principle acquired through the practice of Jujitsu has been elevated to a finer moral concept called Judo, "The Way of Gentleness," it may well be said that the primary objective of practicing Judo is perfection of character. And to perfect one's character one must be grateful for the abundant blessings of Heaven, Earth, and Nature, as well as for the great love of parents; one must realize his enormous debt to teachers and be ever mindful of his obligations to the general public. As a member of a family, one's first duty is to filial to parents, to be helpful and harmonious with one's wife or husband, and to be affectionate to brothers and sisters, so that the family may be a sound, successful, and harmonious unit of the community. Anyone who practices Judo should neither be afraid of the strong nor despise the weak; nor should he act contrary to the strength of his enemy because of the art he has acquired. For example, when a boat is set afloat on water, one man's strength is sufficient to move the boat back and forth. This is only possible because the boat floats; for if, on the other hand, the boat is placed on dry land, the same man's strength is scarcely sufficient to move it. It is necessary, therefore, that the weak should learn this fact with regard to the strong. As aptly expressed in the poem "The boughs that bear most hang lowest," one should never forget the virtue of modesty as one attains proficiency in the art of Judo. Do not disdain or regard lightly either literary or military art; each is important and deserves equal cultivation and respect. Within constant motion and change there is tranquillity; and within tranquillity, there is motion and change. Remember always parental love and one's enormous indebtedness to teachers. Be grateful for the protection of Heaven and Earth. Be a good leader to younger men. 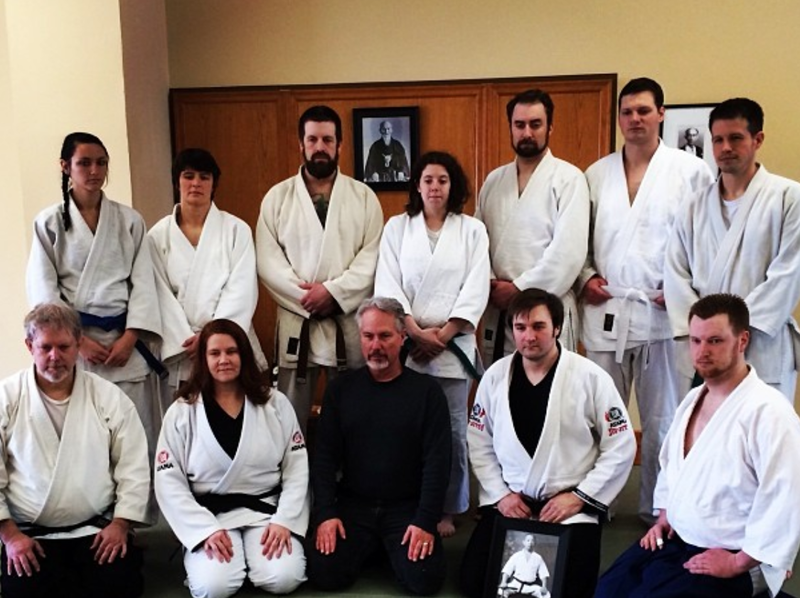 To lead younger men well, will in the long run, mean to attain proficiency in the skill of Judo. Like a drawing in India ink of the whispering of wind in the pines, the secrets of Judo can only be suggested. Only through personal experience can one comprehend the mystic ecstasy of such secrets. It is said of Jujitsu that it would require ten years of practice to win victory over one's self and twenty years to win victory over others. Whatever the trials or dangers, even "Hell under the upraised sword," remain calm and remember the doctrine imparted to you by your teacher. A noted verse reads: "For the lotus flower to fall is to rise to the surface." These are the secrets of KoDenKan into which I have had the honor to initiate you.